Fire, storms, and water can all be disastrous and can cause serious damage to your property. But if there’s one word that truly makes homeowners cringe, it’s mold. Why? For many, it manifests a fear of illness, not to mention the aesthetic and structural deterioration it can create. Mold has been linked to health problems and can be harmful to you, your family, and your employees. It’s something that isn’t always easily detected, but could cause serious long-term damage to your house or business. Who Can Be Affected By Mold In Their Home? Children: Little ones are still growing and are more susceptible to the toxicity in fungi. Elderly: As people age, their bodies break down and their immune systems deteriorate, which makes it difficult to fight mold toxicity. People with compromised immune systems: This could be a result of a disease or condition, or even poor health due to lifestyle choices. Pets: Yes, even your family dog could be negatively affected by mold in your house. How Can Mold In My Home Affect My Health? Mold can cause serious health issues and infections, but the most common indicators could appear more like allergies or the common cold. Headaches, sore throat, and congestion could all be indicators that you have mold somewhere in your home. How Do I Fix Mold In My Home? If you think there might be mold growing in your home, it’s important to take steps to identify and then remove it. However, mold remediation (or mold removal) isn’t something you should do on your own. If mold levels are abnormally high as determined by indoor air quality testing or an inspection, remediation is recommended. This should be carried out by a professional remediation company with certified, trained professionals who have experience removing and cleaning-up mold from an indoor environment. This is a first step of corrective action. If your home or business has had recent water damage, but there is no visible mold growth, we can apply an antimicrobial agent that will prevent mold growth from occurring until the wet area is dried out. Antimicrobials can also kill existing mold spores if they are present. 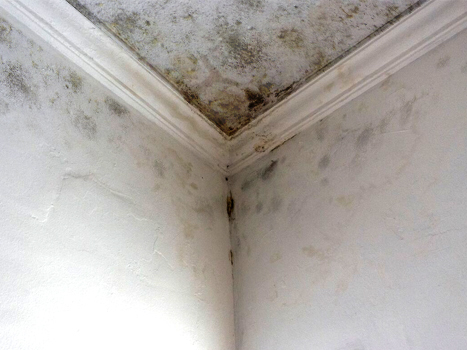 Mold is often found in places that have been previously exposed to water or are near a moisture source. Some areas of concern are bathrooms, basements, sink cabinets and window sills due to condensation. Our technicians can identify elevated moisture concentrations in residential and commercial structures through the use of state of the art, industry specific moisture detection equipment and inspection tools such as thermal imaging. Often this can help determine the source of the moisture intrusion. 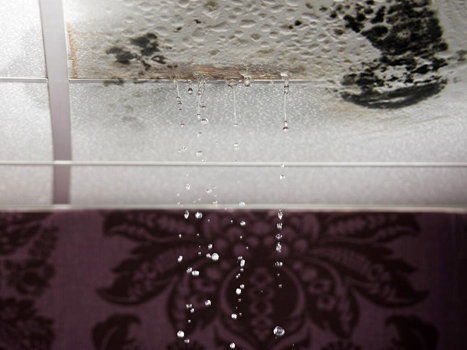 Mold can spread quickly if given the right conditions. Once the source of moisture intrusion has been repaired, our technicians isolate the contaminated area(s) to eliminate the spread of mold spores to other areas of the property. Containment is critical in minimizing the potential effects of cross contamination to other unaffected areas. During the process of mold removal, spores can be disturbed and become airborne. In conjunction with containment, the air needs to be cleaned as well. Negative air machines with high efficiency particulate (HEPA) air filters run continuously throughout the project. This ensures that mold spores, dust, microbial volatile organic compounds (MVOCs), and other airborne debris are removed from the affected area. In most instances, the only effective way to ensure proper mold remediation is to remove affected materials completely. This commonly involves drywall, insulation, wood trim, carpet and even furniture. We follow S520 industry standards written by the Institute of Inspection Cleaning and Restoration Certification (IICRC) to professionally clean up mold from your home or business. If the area contaminated with mold is greater than 10 sq. ft, the use of a licensed environmental hygienist is required. The hygienist will provide a final clearance test, giving our customer peace of mind that the mold has been properly mitigated. As previously indicated, it could be possible that areas contaminated by mold require the removal of affected materials. In situations like this, we can provide restoration services and repair affected areas with new building materials. At the conclusion, the property will be restored to a pre-loss condition. Removing mold is challenging. It requires specific equipment and very specific training and certification in order to do the job properly. If not treated properly, mold can be toxic and a potential health hazard. For these reasons, it’s important to get help from a trusted mitigation and restoration company with well-trained staff and the proper equipment. If you need help with mold damage to your property, UNGERMAN is your one-source solution. UNGERMAN is a full-service, IICRC Certified property restoration company that can assess and repair your property damage. Our vast experience will help determine the source of the mold damage and apply the proper solutions to restore your property. We offer our customers a helping hand and the best mitigation methods available with over 40 years of experience. If you have mold, we have the knowledge, experience, and specialized equipment to solve the problem. We conduct our mold remediation services, quickly, efficiently, and thoroughly. When you have an emergency, we are available to you 24/7/365. We assign a Project Manager at the beginning and they will be your main point of contact throughout the project. In addition, if your situation involves an insurance claim, we work directly for you with your insurance company on your claim. This is what we do every day, whereas this may be the first time you have ever filed a claim.